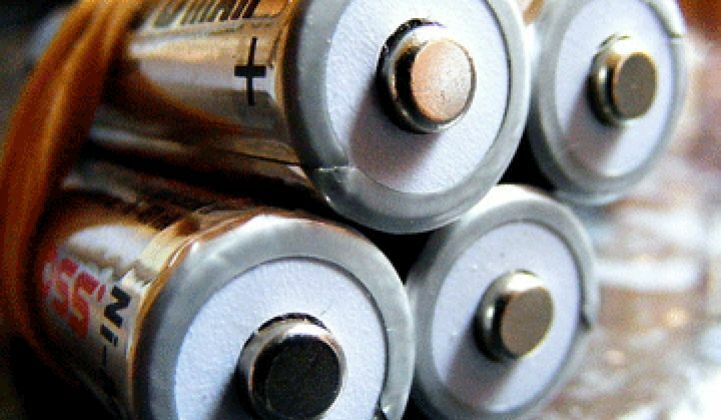 VCs and entrepreneurs keep knocking at the energy storage door. Powergetics has called itself an "intelligent energy storage system." We reported on the firm a few months ago with what information I was able to learn in bars and pool halls. The firm once had a website but now has just a landing page. An ex-CAISO COO, Jim Detmers, was consulting for them, but the firm has not yet granted interviews to the press. From what we can gather, Powergetics is targeting small businesses and using relatively small-scale lithium-ion batteries to provide ancillary services and value for customers that don't have loads large enough for the wholesale demand response market. With storage behind the meter, businesses can manage the spikes in demand that drive their power costs to higher tiered pricing. That application doesn't require an enormous amount of energy; something on the order of 50 kilowatt-hours might be functional. An example would be a car wash, where power is steady except for those bursts when pumps or motors go off: energy storage could help eliminate those spikes. Peak-hour energy can cost utilities 400 percent more than non-peak power, according to Powergetics. Car washes are oft-used examples of peaky power demand. Here's a patent application from Stacey Reineccius, Powergetics' original founder. The invention "provides systems and methods for control of power charge/discharge from energy storage system [sic]. The invention also provides for power monitoring and management, including power management for a variable generator." The biographies of the Powergetics team show a strong entrepreneurial streak and a record of success, albeit in non-energy-related fields. The firm has been angel funded so far. Detmers currently advises a number of energy startups including Powergetics and has noted that "people are developing and funding startups in a vacuum. Some of the new technology does not have the functionality that a customer or the utility or the power system actually need." According to the firm, the Powergetics storage solution is a standalone hardware (battery) and software (monitoring) package. The battery charges up in off-peak conditions and then applies that energy during the day to lower peak demand and provide emergency backup power. Current client installations in San Francisco have shown that the storage system can reduce peak-power demand (kilowatts of concurrent use) for a typical small-to-medium sized installation by as much as 30 percent, and with savings of as much as 15 percent of the utility billing from peak reduction alone. Powergetics is not a battery maker and appears to be technology-agnostic as to battery type. A number of Asian electronics companies with battery technology such as Samsung, NEC, LG, Sony, and Mitsubishi could be potential partners for Powergetics if, in fact, the startup has carved out a market opportunity. Part of Powergetics' secret sauce is the bi-directional inverter needed to get AC into and out of a DC battery. It's an application that other PV inverter and power electronics folks might start to be very interested in.